GGM Autoworks, Inc. in Everett, MA is your premium destination for auto body repair services. When it comes to restoring the original looks and shine of a dented vehicle, GGM Autoworks, Inc. in Everett, MA is the first choice for most vehicle owners in our service area. Having been in the business for years, we have established ourselves as the most trusted auto body repair service provider. Customer satisfaction is what we work for. We are insured for our clients’ protection. 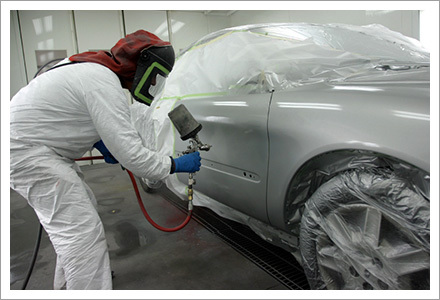 In addition to being a BASF collision repair shop, we are fully insured and registered with the state. We are licensed auto damage appraisers and fully certified in Massachusetts policy. When you come to us, you want your vehicle to be repaired in a hassle free manner. We can help you with all your needs including insurance and related documentation. Your involvement is not required in dealing with the insurance company. You’ll get your vehicle in its original condition on time. Let us know if a recent fender bender has spoiled the beauty of your car. We’ll bring its beauty back.